Australian Unity Health Insurance Discount! 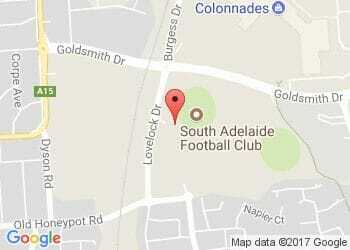 Australian Unity is proud to partner with the South Adelaide Football Club. Australian Unity has 175 years of experience looking after our members. We understand everyone's health insurance needs are different, that's why we offer a large range of hospital and extras covers that you can mix-and-match to meet your needs. Want a better deal on health insurance? Australian Unity offers a great 7% discount1 on health insurance for all Panthers players, members supporters. Wish you could go to the dentist more often? Want money back on remedial massage and natural therapies? Looking for total peace of mind? It's your body and you should be able to choose who treats it. That's why Australian gives you provider choice. If you've got a favourite physio, chiro or other provider, you can continue seeing them. Provider recognition conditions apply, call 13 29 39 for details2. As an Australian Unity member you can make the most of exciting perks every day, including offers and discounts from some of Australia's favourite brands such as; Coles, Myer, Ticketmaster, Uber, Woolworths, David Jones, JB HI-FI. 17% discount includes all retail discounts and is available only when paying by direct debit. The discount is not available through brokers or comparators, and excludes Overseas Visitor Cover. Offer not available on Overseas Visitors Cover or for Extras only cover. 2 Provider recognition conditions apply. For details call Australian Unity on 1800 122 237.